Our sister company, Wash That Dog! was the first self-serve dog wash in Northern Virginia. 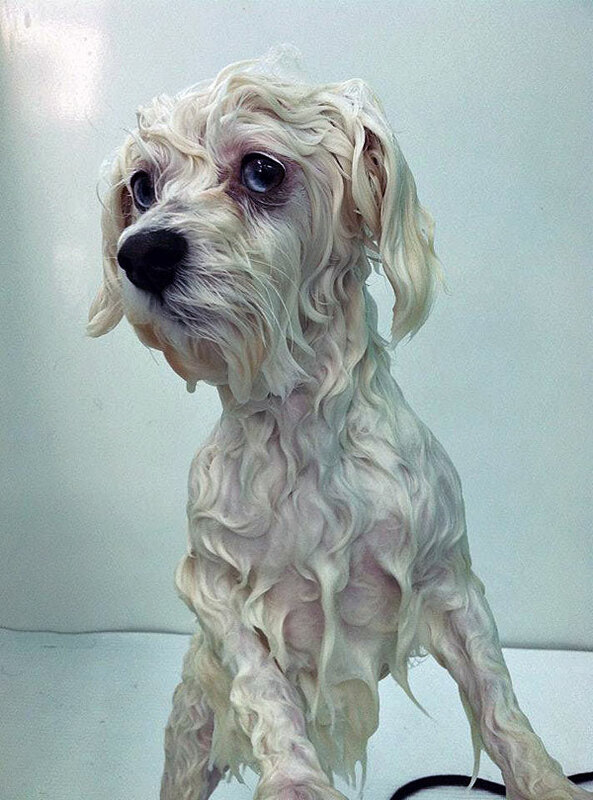 We offer both self-serve dog washing and full-service grooming. Wash That Dog! is located at 105 Moncure Drive in Alexandria, Virginia. We have ample free parking available. Sick of clogged drains and finding hair in the bathroom longer than Fido stays clean? Well we turn the inconvenience of bathing your dog into an enjoyable bonding experience. With private bays, raised tubs, forced air dryers, and not to mention all the treats they can eat, this is going to be the most fun bath your dog has ever been given. Self-serve dog wash is exactly what it sounds like – you bring your dog in and use our equipment to get your dog sparkly and clean – and leave the mess to us! Our fee for self-service dog washing is $18. This includes shampoo and conditioner, towels, forced air dryers, brushes and grooming tools – all at no additional fee. For you convenience we provide aprons so you don’t wind up taking a bath with your dog – we even have child-sized aprons available, so bring the whole family. Join us for our Happy-Hour Special every Monday from 4-7 p.m. where self-service is only $9 – same great bath, same great amenities at half the price. Self-service is available from Thursday to Monday. We are also happy to bathe, brush and clip your pet for less than other local companies. Full-service dog washing (our Drop N’ Go service) begins at $25 for smaller dogs, and is prorated for size and hair length. We also offer nail trimming and ear cleaning services, and have specialty shampoos for fleas and sensitive skin conditions. Full-service grooming packages are available by appointment on Tuesday and Wednesday. Feel free to call us at 703-299-9274 (WASH), or email us at info@teamlittledogwalking.com to set up a time!